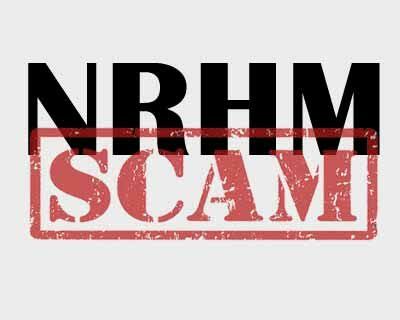 Patna: In the case of the Rs 6.33 crore National Rural Health Mission (NRHM) scam that rocked the state of Bihar in the 2011, a vigilance court has now issued a non-bailable warrant arrest against 23 persons which includes 12 doctors as well . “The audit report of State Health Society, Bihar, showed that payments under NRHM had been made for fake tubectomy procedures and deliveries. Some of the doctors were found to have conducted more than one tubectomy procedure and facilitating delivery on a single woman,” Kaimur superintendent of police (SP) Harpreet Kaur informed HT. Startling figures had unveiled by the authorities while investigating the said scam. One of the doctors, Dr Hira Singh, had performed tubectomy on 413 women at four hospitals, covering a distance of more than 100 km in day,” the report stated. He along with 22 others are facing charges under sections 420 (punishment for cheating), 409 (criminal breach of trust), 467 (forgery of valuable security), 468 (forgery for purpose of cheating), 471(using forged document), 120B (criminal conspiracy), 201 (causing disappearance of evidence) and 34 (common intention) of Indian Penal Code and Section 13(1)(D) of Prohibition of Corruption Act reports HT.